Do you have a few teeth that have seen better days? 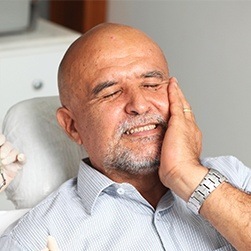 Has dental decay or damage given you a smile that causes you to feel self-conscious or experience constant pain? If so, Dr. Martinez is ready to make your dental problems practically disappear with restorative dentistry. Using an artistic touch and the highest quality materials, he can rebuild even the most compromised smile to help it look and feel like new again. To learn more about your restorative options and schedule an appointment, contact us today. 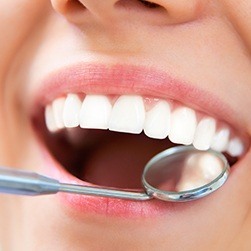 Why Choose Glow Family Dental for Restorative Dentistry? Many people choose to ignore minor dental issues, but unfortunately, this will only lead to more problems down the line. Unlike other parts of your body, your teeth can’t heal themselves, so decay and damage only tend to get worse. This can lead to even more pain and aesthetic issues, and eventually, the teeth will fall out altogether. Thankfully, this chain-reaction can be stopped simply by repairing damaged teeth as quickly as possible. 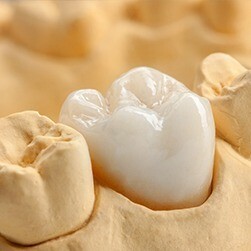 A dental crown gets its name from the fact that it’s designed to literally fit over the top of a tooth. With one, Dr. Martinez can repair a large cavity, put a broken tooth back together, and even improve the appearance of an oddly-shaped tooth. He personally designs all of his patient’s crowns so that they blend seamlessly into their smiles and provide optimal function. The process to have one placed usually requires two visits to our office, and with the proper care, a crown can easily last for multiple decades. When it comes to repairing small cavities and slightly damaged teeth, we’re glad to have a more aesthetically friendly option than traditional, dark gray metal fillings. Tooth-colored fillings are made of a composite resin, and they can be specially shaded to perfectly match any patient’s smile. This material also enables Dr. Martinez to place smaller, more conservative fillings, which better preserve the strength of a tooth and help the restoration last much longer.